Druzy Necklace. Teal Green Druzy Necklace. 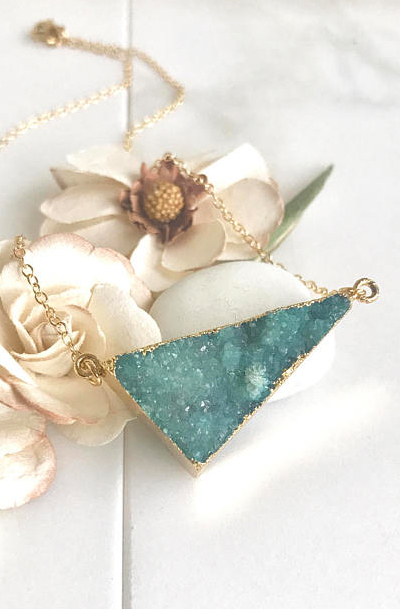 Teal Triangle Druzy Necklace. Crystal Geode Necklace. Jewelry. Gift. Unique Jewelry Gift. The druzy is about 1.75"
Across. The necklace is 17" long on 14k gold filled chain.